People evolve differently and the lights can dim on all kinds of relationships over time. 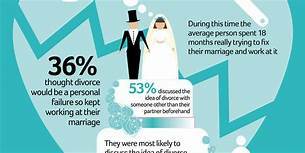 Two people rarely arrive at the decision to separate or divorce on the same emotional timeline. One often prefers to stay together while the other makes it impossible to stay, or leaves. When a relationship becomes unsustainable in the best of times, well then, saying farewell may be the better option. Even if the parting of ways was your idea, saying good bye tends to be hard emotionally and even physically painful. I especially encourage people to make their relationship as good as possible and not leave when the relationship is at its lowest point. For couples with children who need to be co-parented the ‘end’ is more complex because it is also a new beginning. In either case – relationships with or without children – break ups and divorces present opportunities to brush up on emotional intelligence, coping skills and conflict resolution for more positive outcomes in the future. Perspective stops the emotional hemorrhage. Therapy is like viewing art. One stands back to take in the whole work in a safe space to grow and rethink your relationships without the bias of the therapist being part of your life. During times of high stress, even the most highly functioning among us can lose perspective. Talking through issues with a caring, attentive professional can be immediately comforting, reduce tensions and unravel frustrations built up over time. The goal is to disconnect from the white hot heated part of the hurt to begin to heal. What starts as a life-changing catharsis may turn emotional pain into new awareness of personal value, self-knowledge and self-esteem. Emotional intelligence sparks awareness of yourself and others. Through self-disclosure and finding the right words to express yourself, deeper explanations are uncovered. Increased comprehension of what motivates your behaviors, thoughts and feelings generally follows. If you find yourself wondering why you keep on engaging in the same dysfunctional squabbles and counterproductive conduct – or why the strength to learn from mistakes and amend behaviors seems out of reach – therapy can empower you to identify patterns and triggers to reveal what you would like to experience for yourself instead. Illuminate blind spots aimed towards corrective emotional experience. Your therapist is on the sidelines, holding you in positive regard and not investing in your life the way friends and family do. In a caring context a therapist guides you to own your feelings, find your voice and validate yourself. Friends and family do this too though differently, because they are in your life in a way that a therapist is not and never will be. Early childhood experience does brand us for life in a way. Therapy helps you to recognize and modify your relationship patterns and attachment styles. It may sound commonplace though true; our childhoods affect our relationships. Recall the song, “The first cuts are the deepest.” Though we think we play our lives forward, it may be that important life events early on set us on a course that we spend the rest of our lives trying to understand and refine. In times of stress these old patterns may become triggered and intensified. Our history affects our choices in life and color current events. Particularly difficult times are ripe for making us anxious or depressed today. Growing up, children have very little power to determine their lives. Saying ‘no’ as a kid can be risky for many. As adults, understanding how early attachment experiences function today can be a huge help in pinpointing and fixing problematic patterns. Me time. A clinical hour typically lasting 45-50 minutes long is for you to solely focus uninterrupted on your trials and tribulations. During this time you don’t have to care for or listen to anyone else’s problems or worry whether your conversation is balanced. It’s all about you. When vulnerability and recognition of making mistakes arise in this atmosphere, it is less a sign of weakness or embarrassment and more a cultivation of strength. Being willing to be self-reflective and openly admit mistakes ultimately makes you a more grounded and genuinely powerful person. Deeper levels of awareness allows you to reconsider what you do. Rather than checking out, the slowing down that therapy provides has many perks. Hitting the pause button is instrumental to coming out of the blur of rapid changes especially after a longer building up period of time. Therapy can help us take note of how we spend our energy and time, what our priorities are, and what might be an unnecessary or unhealthy distraction. Safe connection and right action. Digging deep and discussing your innermost thoughts and feelings in a safe space at a manageable pace with a therapist helps you face your fears and disillusionment. Rewarding in the moment, it’s also good practice for accepting your relationships, where you can grow, and how to get out of the way when necessary. In therapy you will talk about a difficult thought or feeling, then have the relief and the reward of entering new realms of experience. Once you have emotionally vomited and had the dress rehearsal of recovery, chances are you may attempt some of these new coping mechanisms with your loved ones. Hashing it out when you are in conflict with to clearing the air can be dicey. In therapy, however, you can unload and vent to someone who isn’t going to be directly impacted by your rant so that you can shake off the distress and then refine your response and relationship to the problems you face. Collecting yourself takes the oomph out of the hurt. Post-session those in your life will be able to better hear and work with your concerns. Candid full disclosure uncovers buried or long forgotten aspects of yourself. Everyone has ‘out there’ dreams, thoughts or impulses from time to time. One of the best parts of therapy is being able to share and explore – take yourself seriously and reality check – with someone who will not judge, who is a legally-bound secret keeper, and who may have some insight into these incidents. The termination phase of therapy can also be bittersweet. When both you and your therapist decide your issues have been worked through and stresses are more easily handled to lead a more satisfying and fulfilling life this phase is a time to reflect on the work accomplished, process the feelings about ending to have a good, clean goodbye. It’s also possible to conclude treatment knowing the door is open to re-engaging your therapist’s services for tune-ups over time.